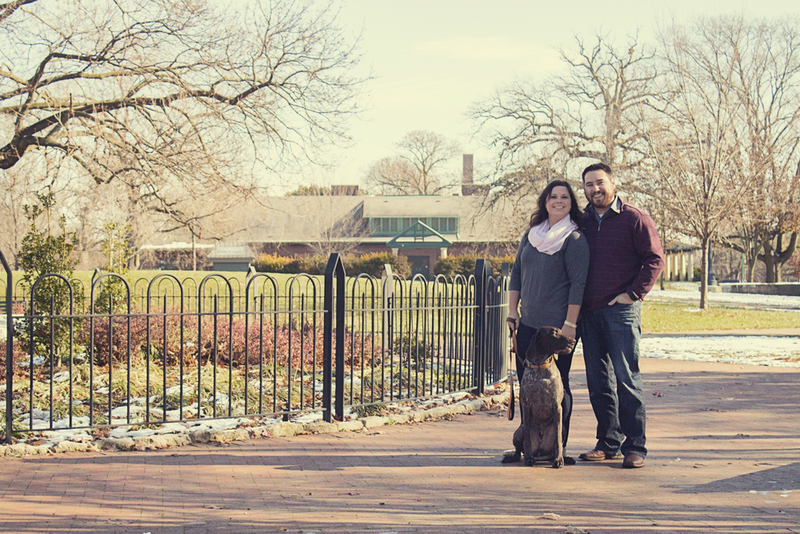 After Thanksgiving I headed down to Columbus to take Gavin's 3 month photos and I was also able to meet up with my long time friend and sorority sister, Kim and her hubby Greg. 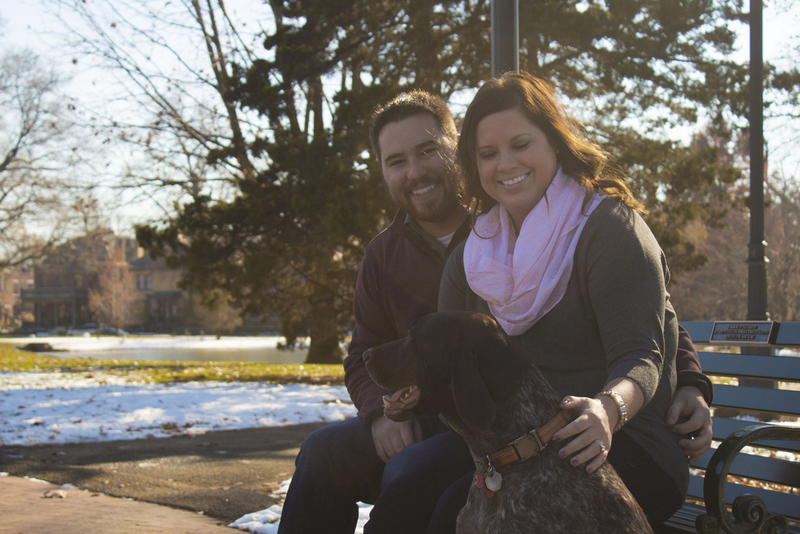 They now live in Dayton but Kim works in Columbus and they wanted to sneak in a quick family session with their dog Gunner so this was the perfect opportunity. They warned me that Gunner is easily distracted. And he was...for 99% of the shots (look a duck!) but we still had a great time catching up and running around this hidden gem of a park searching for shade (winter light was super harsh that day!). So glad we were able to work out a meet up. These are just a few of my favorite photos from our time together. PS. Cincinnati/Dayton friends - I'm headed your way on January 21st! If you are interested in booking a session please contact me at lindsaynicolestudio@gmail.com!